The Tilt™ Collection features a fun and functional line by Walker Zanger. 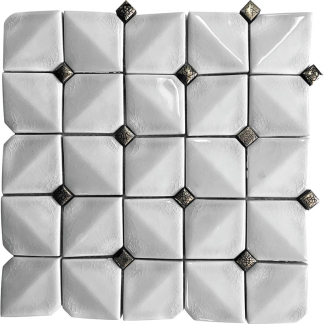 It is an eclectic new collection of stoneware mosaic patterns in an exciting variety of shapes and textures. Taking inspiration from sources as varied as Hollywood Regency, Pop Art, Gothic Carving, Flower Power and 1970s Sci-Fi. Tilt presents designers and home owners with a wealth of options that can add decorative punch or create subtle geometric backdrops. Suitable for all renovations ranging from vanity and backsplash to shower walls and floor.